Cognitive Behavioural Therapy in Bournemouth & Dorset. Cognitive behavioural therapy – or CBT – is a rather complicated term for a very simple thing (as sadly, terms in psychology often are). CBT therapy is a bit like having a wise old friend who, whenever you go to see them, can always manage to look at things from a different angle or think of something you hadn’t previously thought of. Also, cognitive behavioural therapy is sometimes described as thinking therapy – it is about understanding the correlation between the ways in which we think and our beliefs, and the ways in which we feel and behave. Dolphin Hypnotherapy has already helped countless people using CBT in Bournemouth, Dorset and beyond. If a situation caused our emotional response, then everyone would respond the same way to the same situation. Yet two people can experience the same life experience but have two completely different emotional responses. For example, two people are made redundant from the same role with the same life circumstances and commitments, one becomes depressed, thinks he will never work again and struggles financially, yet the other takes it as an opportunity to start their own business and becomes very wealthy. The difference is in how each of the two thought about the situation – as both had the same opportunity. Undertaking a course of CBT therapy in Bournemouth can help you to uncover your automatic thought processes and beliefs and over time, challenge and change those that are unhelpful (or those that once may have been helpful but now cause more problems than they solve). In turn, this positively affects how you feel and behave. CBT has become increasingly popular in recent years due to its logical approach to problem solving and its effectiveness in a short period of time. In contrast to some other ‘talking therapies’, CBT focuses on the ‘here and now’ of problems and difficulties, rather than looking for causes in the past (although when appropriate these are not ignored). CBT treatment often involves completion of assignments between consultations. A commitment on the part of the patient to complete this work is important for the treatment to be fully effective. 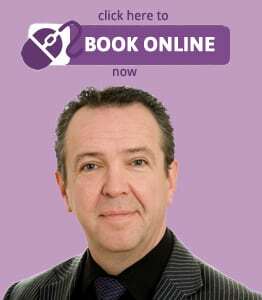 If you’re based in Bournemouth or Dorset and want to find out how cognitive behavioural therapy can help you, contact Dolphin Hypnotherapy now, OR BOOK ONLINE using voucher code INITIALAC for your FREE 1 hour assessment consultation. (Please note that in the event of non-attendance or cancellation with less than 48 hours notice, our standard consultation fee will be charged).